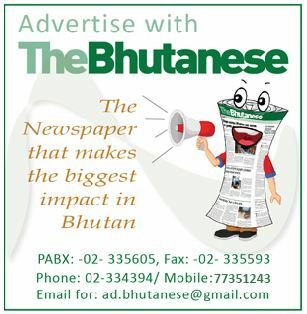 Bhutan is groaning with the huge cost overruns and delays in the Punatsangchu I and II projects. It is notable that in the first project the original dam location was changed to a new one without adequate studies, ignoring even the prior warning of a weakness in the right bank. In the second project, the powerhouse was placed underground from its original location, again, without adequate studies. There have been issues with rock bolts coming out in the Tala project, equipment issues with BHEL, outdated technology and leakage of water into the mountainside. While the hydro project cooperation between Bhutan and India is an exemplary model and one of the main pillars of friendship, a lot more can be done to improve the quality of the projects. The first issue is that the design and construction of hydro projects is pretty much dominated by Indian consultants and construction companies. Increasingly, the quality of the Detailed Project Reports, construction quality and equipment issues are becoming the biggest factors for delays and cost overruns. The Bhutanese side must also take responsibility, but the still limited Bhutanese role in these mega projects at the project management and construction level leads to a lack of check and balance. As rightly argued by the Hydro Committee report, the Bhutanese stake in the projects are much bigger now with 70 percent loan and that too at 10 percent interest rate. This is compared to Chukha and Tala with 40 percent loan at five percent interest and 60 percent grant. With such high Bhutanese stakes and several quality issues, there must be more Bhutanese participation in the project management and decision making. It must be understood that the ‘sensitivity’ factor cannot be an excuse to allow poor quality studies and poor quality work and equipment supply to go on. At the end of the day, such carelessness negatively impacts both Bhutan and India, with delays and cost overruns. The hydro committee report has come up with some good findings and its recommendations that should be taken seriously by both governments.